Atty. Annaliza Barredo, the Election Officer, reminds everyone to exercise his or her sovereign right to vote. This coming May 13, 2019 will be the National and Local Automated Election. According to Atty. Barredo, election by definition is a formal process of selecting a person to hold a public office or accepting or rejecting a political position by vote. She further added that it is mandated by the constitution of the Republic of the Philippines and it is not for the personal gain of COMELEC. “This election is not for the candidate. It is not for the president. It is not for the senator. Dili sa mga congressman. Dili sa mga mayor. Ug dili pud sa mga councilors. But para ni sa ato (This election is not for the candidate. It is not for the president. It is not for the senator. It is not for the congressional representative. It is not for the mayor. It is not for the councilors. Nevertheless, it is for us, the masses),” she said. She further emphasized that we, as citizens of this country, must emphasize our right to vote so that we can choose the leader who will lead the country. “We should exercise our right to vote because we are choosing the person who will lead our country in the future,” she said. According to her, we all must work together to have a peaceful, secure, and fair election this coming National and Local Automated Election on May 13, 2019. 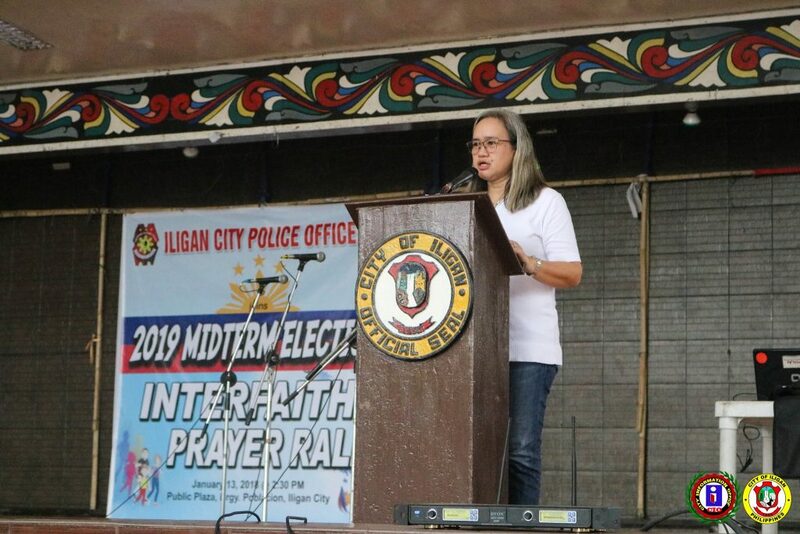 She also assured everyone that the COMELEC, PNP, AFP and other deputize agencies are here to secure the honest and orderly conduct of election. “Let us pray for unity, discernment and truthful desire for progress for all of us as we exercise our sovereign rights,” she said. This entry was posted	on Tuesday, January 15th, 2019 at 8:02 am	and is filed under Flash News. Both comments and pings are currently closed.